Rising dance pop star Zoë Badwi released the music video for her new single, "Accidents Happen" this past weekend. As I previously mentioned, "Accidents Happen" is the new single from Badwi's forthcoming debut album which is due out in 2011 on Neon Records (Australia) and Atlantic Records (UK/US). Working with Static Revenger, TV Rock, Stuart Crichton, Rogue Traders and Amy Pearson, Badwi promises some surprises for her fans, not just a one-note record. Following on the heels of Badwi's tremendously successful fourth single, "Freefallin'," "Accidents Happen" keeps in line with her electro-dance-pop style, delivering a high-energy, up-tempo floor filler. While the lyrics are a bit Cascada-esque in terms of cheese factor, the song serves it's purpose entirely in that it's a future dance-floor anthem through and through. The video starts out with two quotes (one from Napoleon, one from Picasso), both dealing FATE and how there are NO ACCIDENTS. The quotes both fade to blackness except for one line in RED..."IT IS FATE. THERE ARE NO ACCIDENTS." The video starts at the end and REWINDS BACKWARDS. Groceries come up off the ground and go back into the bag...once spilled coffee is not back in the cup, etc. etc. By the middle of the video, someone hits PLAY and the video changes course, playing out a completely different scenario than what we just saw in reverse. Timing really is everything. Fate. No accidents. The name of the song, the quotes at the beginning of the video...it all makes sense now. Download the "Freefallin'" EP on iTunes HERE. Acclaimed British singer/songwriter Adele announced today, dates for her upcoming North American tour in support of sophomore record 21. 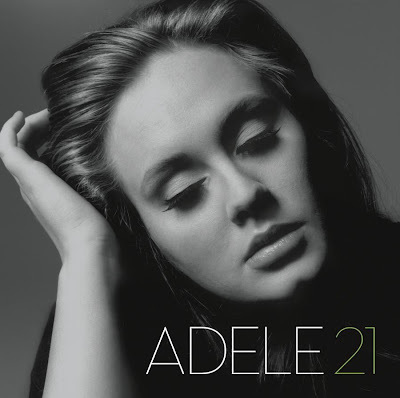 Due on Columbia Records February 22nd, 21 was (nearly all) co-written by Adele and a top-notch team of songwriters including Paul Epworth, Ryan Tedder, Fraser T. Smith, Eg White, and Dan Wilson of Semisonic. The 23-date Tour kicks off May 12th in Washington D.C. and concludes June 20th in Nashville, seeing Adele zig-zag her away across the U.S. and Canada playing 22 cities in total. Tickets for the tour go on sale to the public on Friday, February 11th but are available for pre-sale beginning on Wednesday, February 9th 12PM est/9 AM pst only on Adele's official website. Check out a full list of TOUR DATES below and hopefully I'll see you there at the Boston show! Since it's release in the UK, 21 has been KILLING it on the charts, maintaining it's hold on the #1 spot for the second week in a row. It took only four days for the album to go Platinum and it's not showing signs of stopping. Debut single, "Rolling In The Deep" peaked at #1 in five countries and went Top 5 in six countries, including her native UK where the single peaked at #2. Back in America, the single is doing fairly well, becoming Adele's second single to chart on the Billboard Hot 100, coming in at #68. The song also hit the Top 25 on the Billboard US Adult Pop Songs chart and #37 on the Billboard Rock Songs chart. Check out the stunning video for "Rolling In The Deep" below and download the single on iTunes HERE. 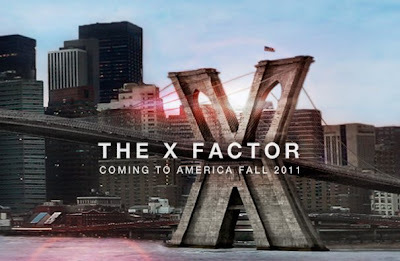 The X-Factor is coming this Fall...to America! Yes, we all knew this was coming but this is the first bit of SERIOUS promo we've seen to date, other than the city promos the surfaced earlier this winter. In this video we have Simon Cowell talking about the concept behind the show, who's eligible to audtion, blah-di-blah-blah-blah. Everything anyone who's ever watched the UK version already knows. What we REALLY want to know - who are the judges? Who's the host? No word on either just yet. What we do know - auditions commence in Los Angeles on March 27th, traveling across America to New York, Miami, Dallas, Chicago and Seattle. The grand prize? A $5 million recording contract with Sony Music. That's pretty huge. Having watched this past season of the UK version, I have to say I'm really excited. It's completely different from American Idol and I think that's what we need right now. Check out Simon's video below and make sure you follow X-Factor USA on Facebook and Twitter for all the latest news and for more information on how to audition. Are you excited for The X-Factor?